Clerestory Design has had a room selected to be featured on the Interior Design Site Ava Living. 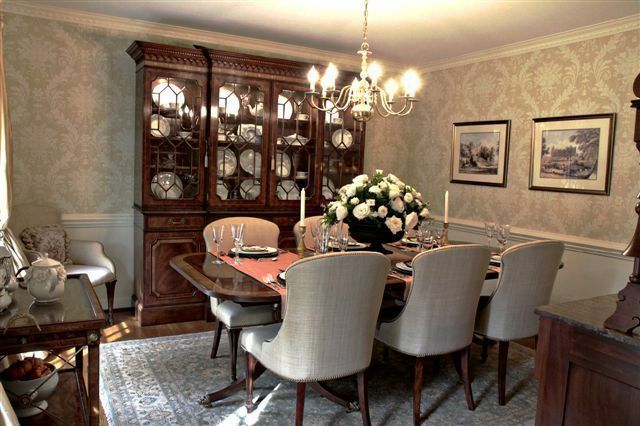 This dining room reflects a traditional and inviting space for homeowners who love to entertain. A mix of family antiques and new heirloom pieces were used to create this sophisticated space. This home was part of the Greensboro Symphony Guild Tour of Homes in 2009. Visit the site Ava Living during the week of August 30th to view room number 9 or view rooms by Kasey Stamey any time. Feel free to rate a design, post a comment or become a fan. (Thanks to Nixon Photography for the beautiful photos).